What does author SJ Watson think of the film based on his book 'Before I Go to Sleep' ? 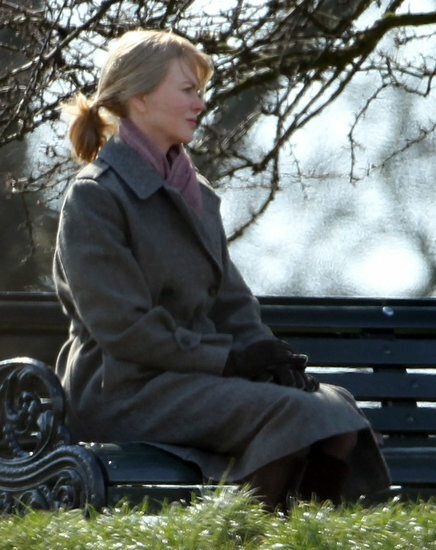 A worried-looking Christine (Nicole Kidman) waiting to reunite with her best friend Claire (Anne-Marie Duff) in the screen adaptation of SJ Watson's Before I Go To Sleep. "Lots of you asking when the film's out. It's likely to be early 2014. Also, lots wondering whether it'll do justice to the book (thank you!) - I've read the script and seen some of the early footage and, trust me, it'll blow your socks off." Save the Date: While we don't have an specific date yet for 2014 here in the states, Before I Go To Sleep is currently set to open in Sweden on April 11th, followed by Australia on on the 7th of August and Denmark on the 25th of September. What a spread! Have you read the book yet? Here's my take on SJ Watson's thriller.